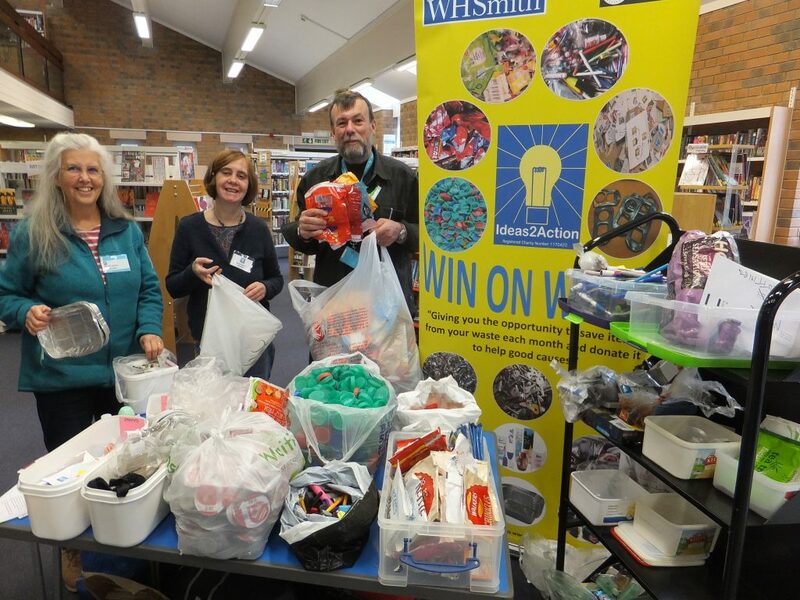 A total of 76 households, plus Kingston Lacey, staff at Poole Hospital and an office donated items for 16 good causes at Wimborne Win on Waste on Saturday 3 November at Wimborne Library . Thousands of ring pulls had come all the way from Rotherham too! This entry was posted in Latest News, Win on Waste - Wimbore on November 5, 2018 by Monique Munroe.